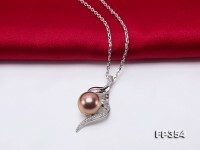 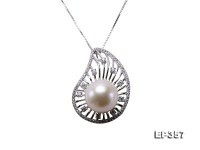 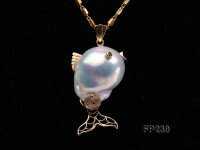 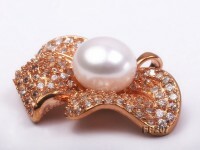 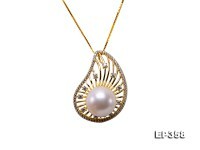 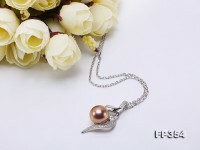 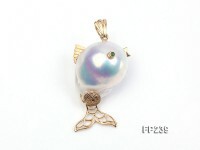 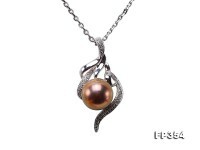 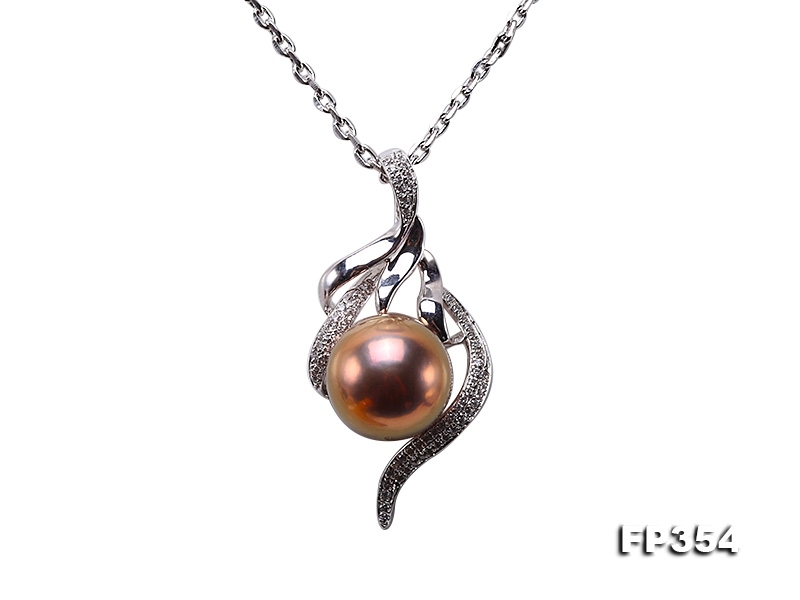 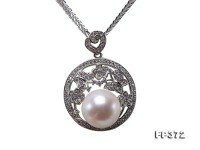 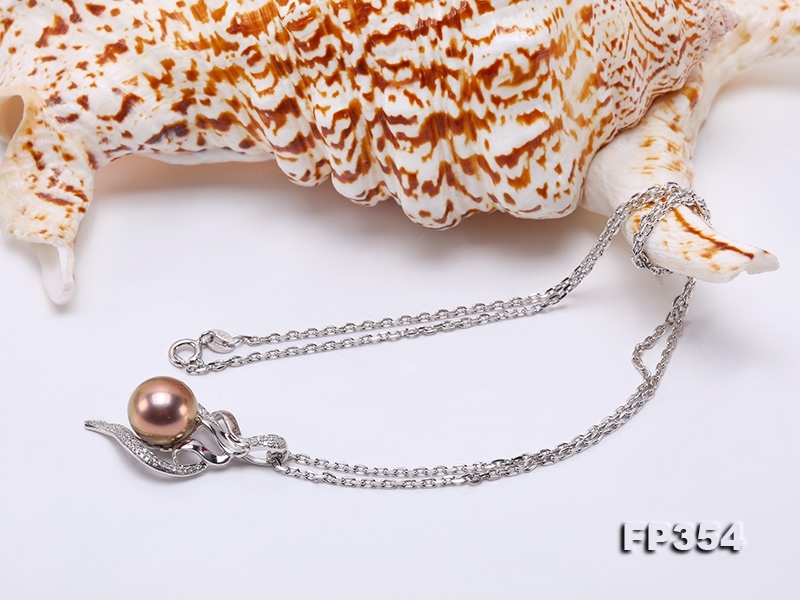 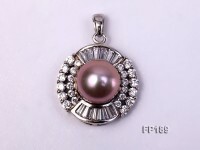 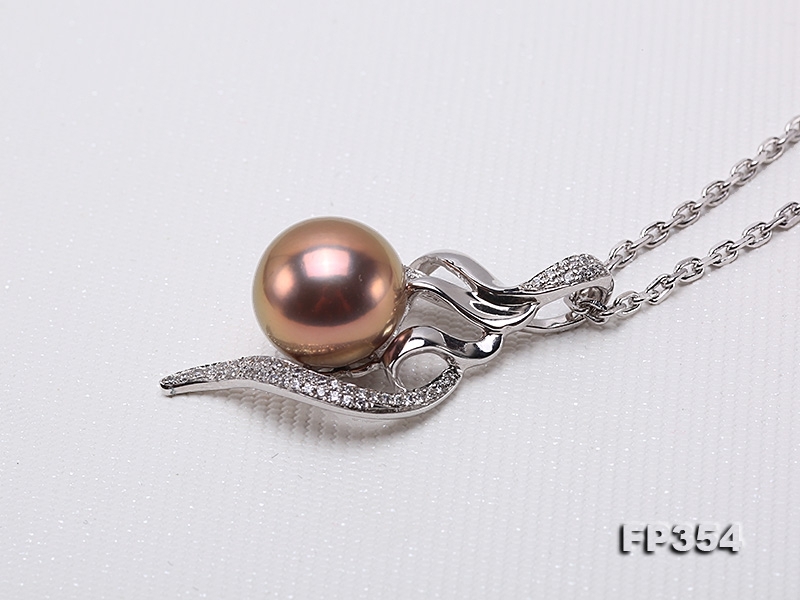 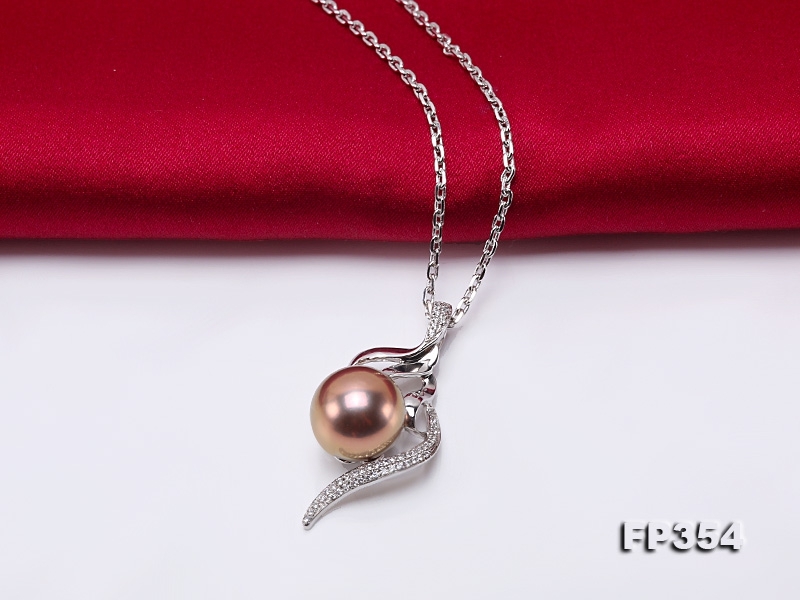 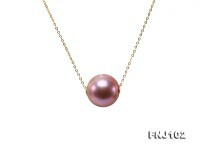 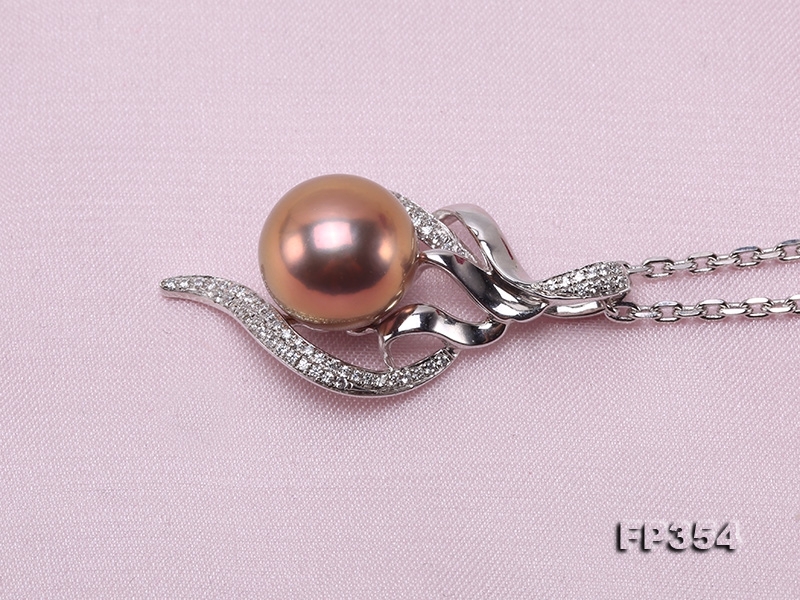 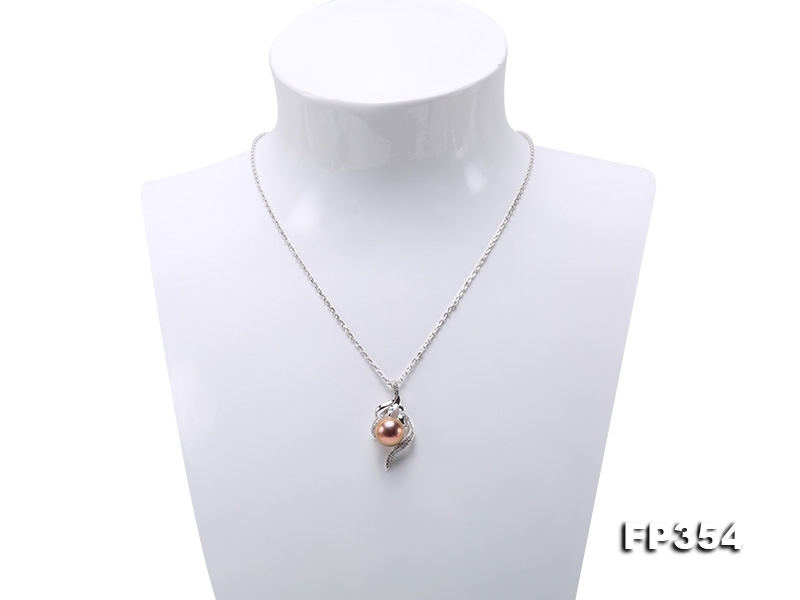 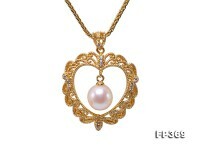 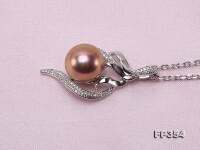 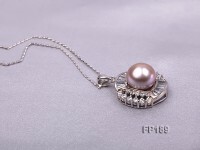 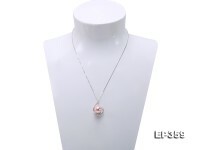 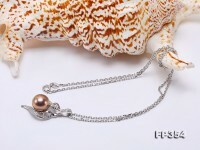 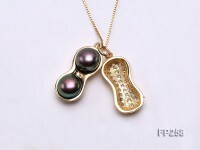 Super gorgeous pendant made of a 11mm golden lavender cultured freshwater pearl with zircon-inlaid sterling silver bail. 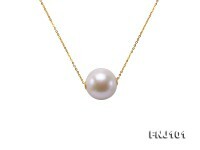 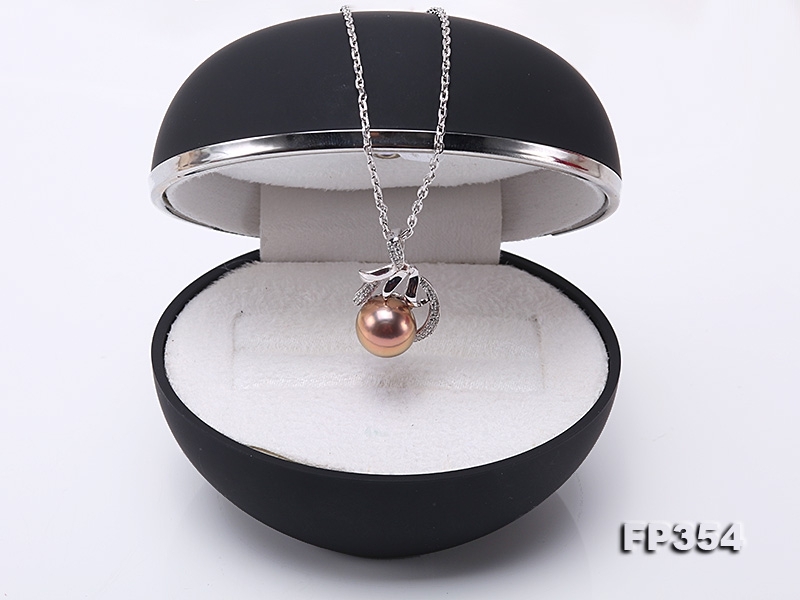 The pearl features its big size, smooth skin, high luster, and perfectly round shape. 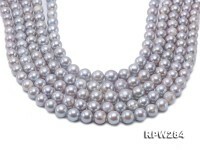 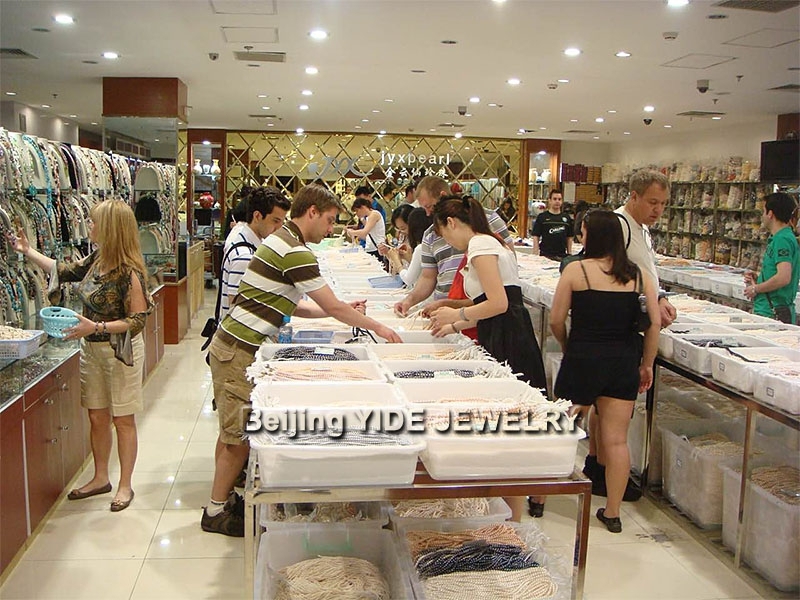 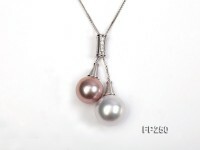 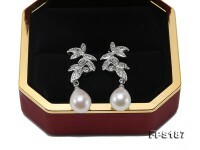 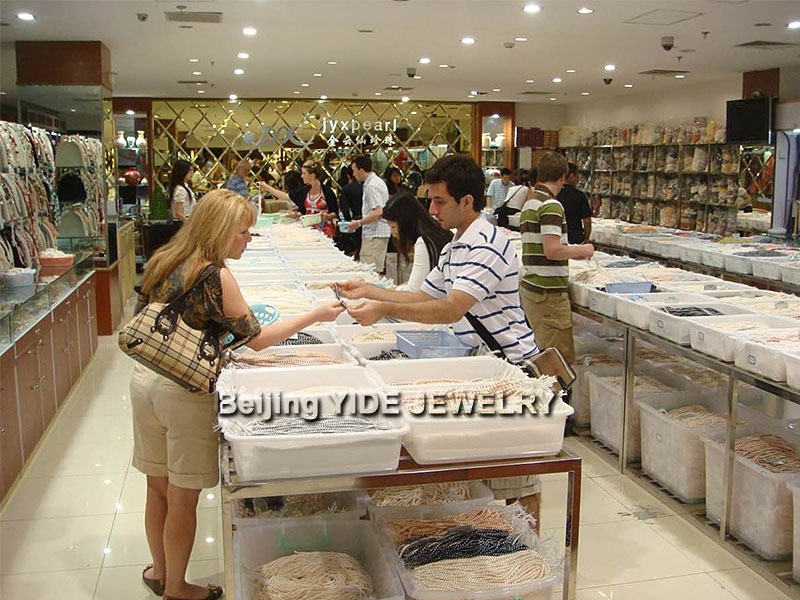 Edison Pearls are much rounder, bigger, and more iridescent than common freshwater pearls. 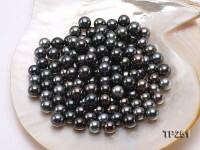 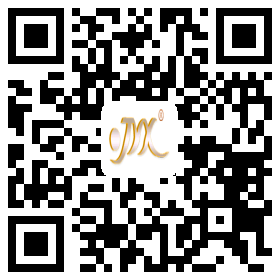 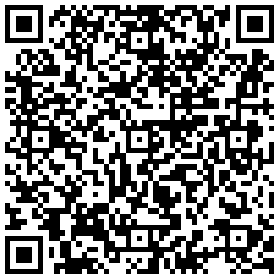 They are usually more than 11mm, have perfectly round shape, and much wider color range. 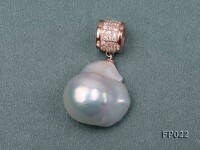 Except from common colors, Edison pearls have unique and rarely seen colors as golden pink, golden lavender,etc.